Among the group of honorees Friday, Oct. 23 at the Hilton Woodland Hills for the 14th-annual California State University, Northridge Volunteer Service Awards was a small group of young alumni. 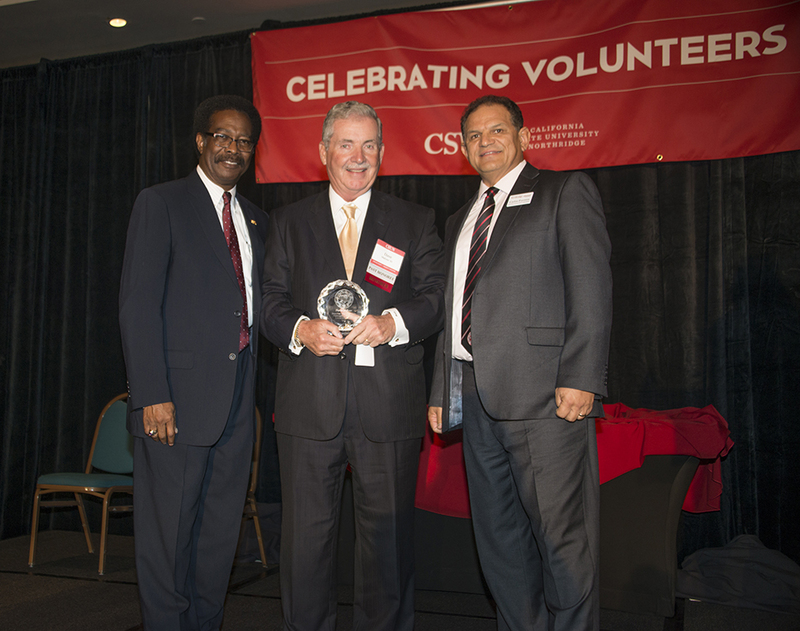 Most of the people being honored for their service to the university and the CSUN Alumni Association’s chapters were mid-career professionals and retirees. 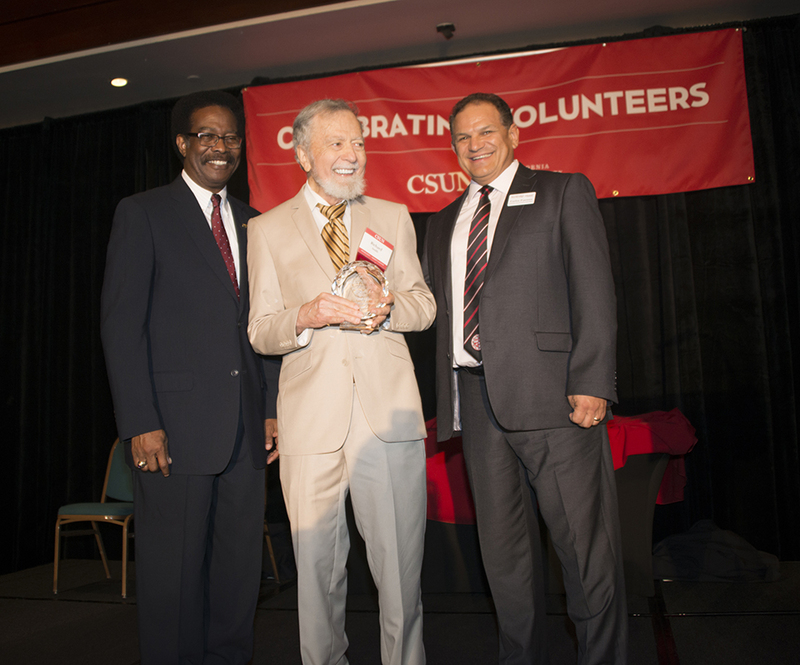 However, 10 Volunteer Service Award recipients graduated from CSUN within the past decade. And despite being early in their careers and focused on their post-graduate lives, they still devoted time and energy to remaining a part of CSUN. 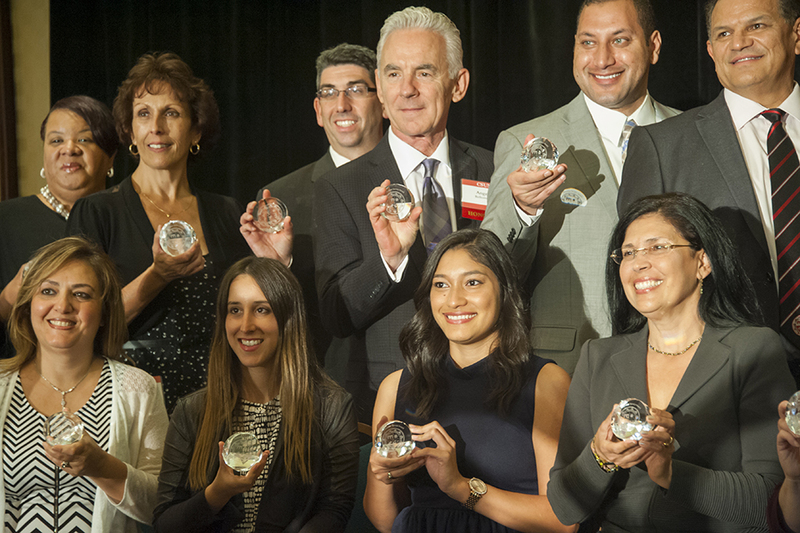 And thus, a quarter of the honorees at the VSA event set an example for young alumni and dedication to CSUN. Park, a 29-year-old Stevenson Ranch resident, is the legislative deputy for Los Angeles City Councilman Mitchell Englander. Giving back and cultivating the next generation of leaders is part of the culture in her job, so keeping close ties to CSUN was easy for her, she said. For Los Angeles resident Nicki Katz ’11 (Cinema and Television Arts), she gave back to CSUN and got involved in its alumni association because she saw a need. There wasn’t an alumni association chapter for people in the entertainment industry until the 26-year-old helped co-found the Entertainment Alumni Network. It was a similar story for 31-year-old Nursing Alumni Chapter honoree George Higgins ’06, ’13 (English, Asian American Studies). He reaches out to fellow young alumni and students to help them realize that CSUN can provide so much for them — not just during the pursuit of their degrees, said Higgins, a Montrose resident and president of the Nursing Alumni Chapter. “The great difficulty in reaching out to the student body right now is that (there’s this label of CSUN being) a commuter school,” he said. “It’s very easy to come, forget and leave. But if people don’t go back and realize what this school has given them or come to terms with how much college can really provide, they’re really losing out on what it is to be part of society or a community or an alumni association. David Malone ’81 (Accounting), more than 35 years into his successful professional career, briefly spoke about the benefits of his schooling and post-graduate relationship with CSUN. Malone echoed Park, Katz and Higgins. His appreciation for his education led him into volunteering at CSUN shortly after receiving his degree. Malone, who serves as chairman of BBCN Bank, the largest Korean-American bank in the U.S., was the recipient of one of the afternoon’s most prestigious awards, the Dorothea “Granny” Heitz Award for outstanding volunteer leadership. “The message I received (when I went to CSUN) was ‘dream big, study hard and don’t think your education here isn’t on par with some of the most prestigious schools in the nation,’” he said in his acceptance speech. The other big award of the day went to former longtime psychology professor Richard Smith, who received the Dean Ed Peckham Award for emeritus or retired faculty or staff service to the university. For more on Malone and Smith and the full list of honorees, click here.